After the reputation of the former "OiLibya Morocco Rally" was too bad and the FIA penalized the old organizer NPO, the Rally was sold to the new organizer ODC of David Castera and his crew and they announced: All will be good and new! Now ODC announced the first details of the new "Rally du Maroc", which in this combination will stay in the calender for FIA and FIM World Cups. The ideas and new system sounds really good. The first idea: Different categories will have different routes. "I am only too aware of the culture shock which can exist out on the track and I want to offer everyone the freedom of racing without having to worry about the other categories," said David Castera. 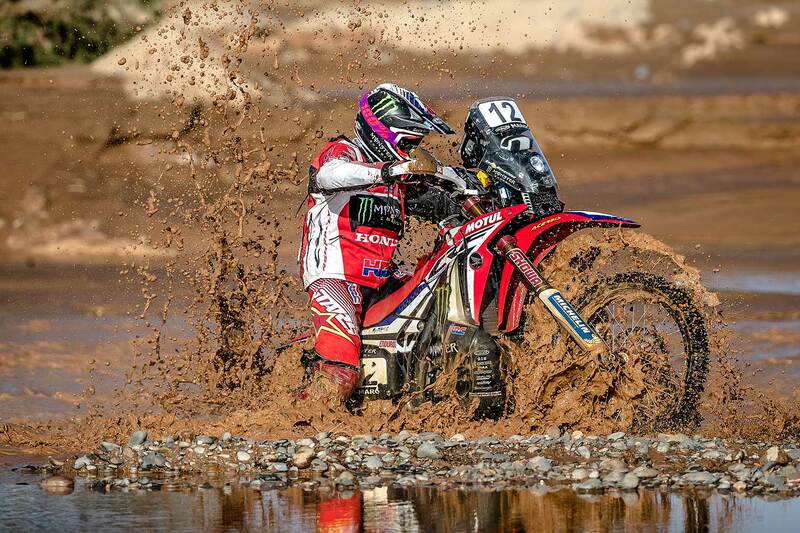 In addition to a route designed so that, never over the 5 days, bikes, quads and SSV will be overtaken by cars, careful attention will be paid to the choice of tracks and the balance in terms of difficulty. Preference will be given to smooth tracks offering maximum driving / riding pleasure wherever possible. 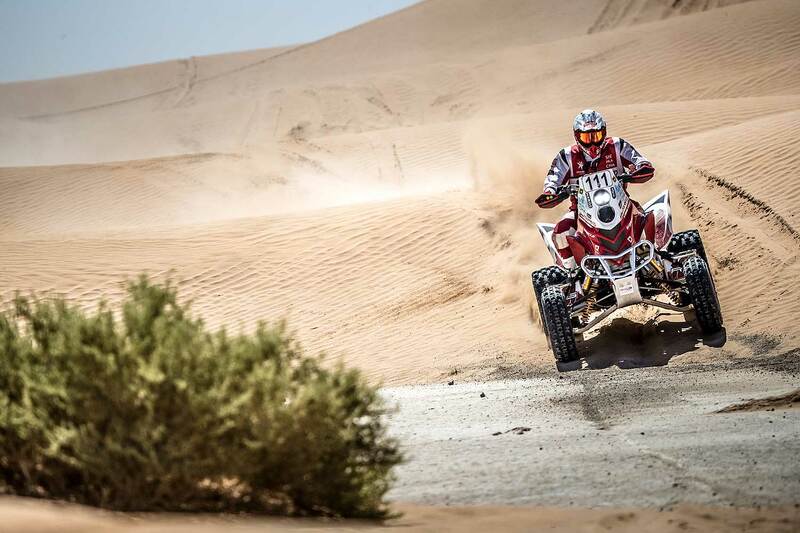 While the first and last 25 kilometers will be the same for everyone, the rest of the route will either be different or run at different times, so that bikes / quads / SSV and cars / trucks are never mixed, for the enjoyment and safety of all. The stages itself are interesting and well designed for both, competitors and service. ODC didn´t announce so much details about the single stages yet, but the published "Map of Route" is giving a first imagination. In the beginning and end, there will be a "Start and Finish Village" next to an International Airport. The rally will then move to the only big basecamp from where all stages (5 stages plus prologue, a marathon stage just for bikes, quads and SSV) will start and finish like a flower. This means: Nearly no big liaisons for the service-crews, a basecamp in which you can feel at home. The basecamp will be in a hotel-area - and inside there will be the new "Heart of the Rally", the so called "Oasis". Set up around the hotel swimming pool, all the services you might need will be brought together: Doctors, physiotherapists, the competitor relations service, TV screens, results, briefings, notices, a place to prepare your road books, open bar soft drink, music, Wifi... Although the different categories won’t be together on the track, the Oasis will allow everyone to meet up and share their adventures at the end of the day. 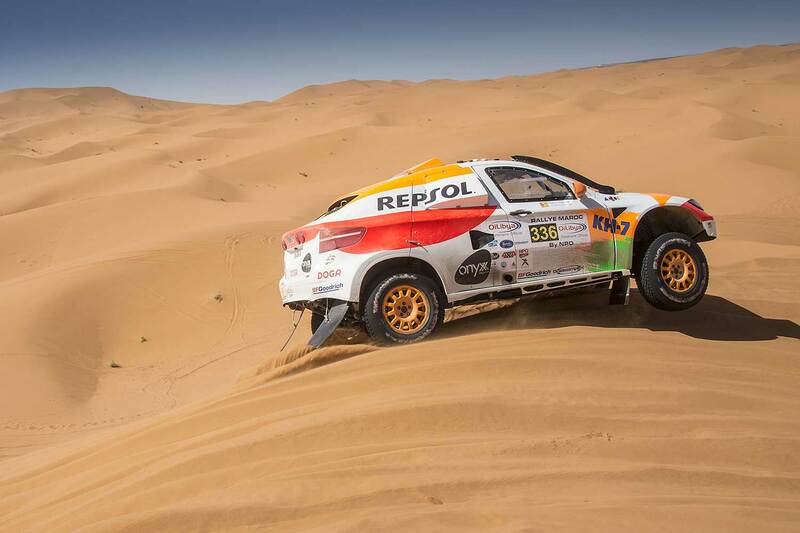 The Rallye du Maroc is the shortest desert-marathonrally in the FIA- and FIM-calendar, with total daily distances of less than 300 kms. It is also the most economical and the closest to Europe. Inside the event, the new organizer announces the "Enduro Cup" for bikes with an absolute minimum of preparation: Take your enduro bike (maximum 450) and just race in this class. Two desert tyres and two mousses (front and rear), a road book reader and suitable final drive gearing is all you need. Refuelling every 80 kms (clock stopped 8 minutes) will be provided by the organizers. Also for SSV the race will be interesting: "Technical regulations that are clear and simple, refuelling every 80 kilometers, it’s the way to race without added complications," ODC said. The SSV will start after the bikes, so they also can´t mix up with the cars and trucks. 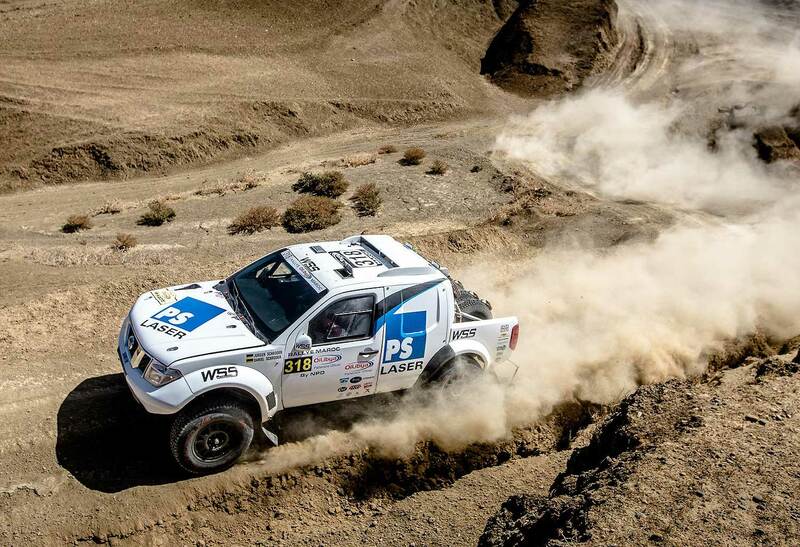 "For around 5000 Euros turn your SSV into a race ready vehicle and come and tackle the tracks and dunes of Morocco." To comply with regulations, the following parts must be to FFSA standards: Roll cage, seats and seat mounts, safety harness, cut out switch, rear fog lamps, mud flaps, fire extinguisher. The Organizers also offer the possibility of vehicle transport from different European cities, hotel accommodation, preferential shipping rates or assistance with customs formalities - "everything has been thought off with your comfort and pleasure in mind," ODC stated.